9 heavenly paneer recipes for dinner! 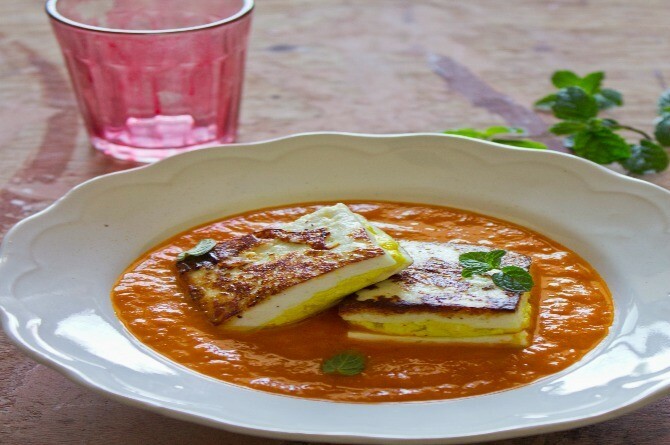 Try these amazing paneer recipes from our celebrity chefs for a mouthwatering culinary affair! You’re sure to lose yourself with this melt-in-mouth paneer recipe by Chef Varun Inamdar, Food-E: Culinary Experts. Try it tonight! For the gravy, heat oil in a pan. Stir in tomatoes, spices and salt. Cover and cook till done. Run the mixture to a smooth paste in a grinder and continue cooking. Stir in cream, butter and sugar. Stir well and reserve. For the filling, heat oil in a pan. Stir fry onions till it turns translucent. Heat oil in a pan and fry paneer sandwiches till golden brown on both sides. Return the gravy to the flame and heat well. 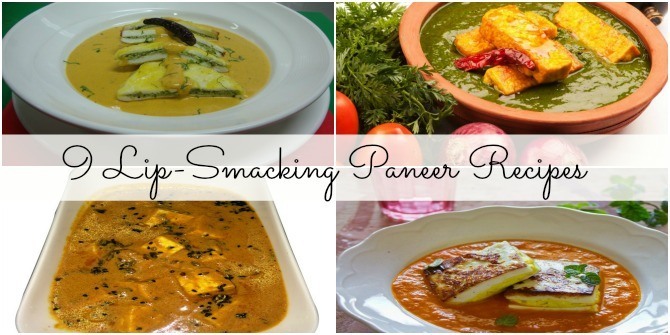 Continue reading for more mouth-watering Paneer recipes for dinner! You will soon have a dinner favourite. 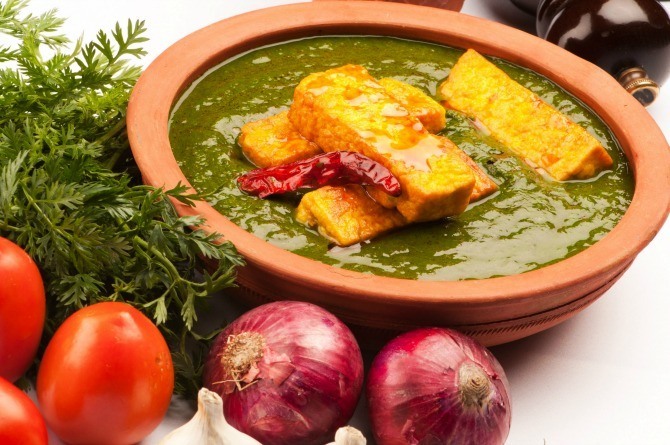 This paneer recipe from Radisson Blu, Noida is out of the world! Place a thick bottom handi on the flame. Add mustard oil, ginger-garlic paste and sauté. Then add Kashimri chilli powder, coriander powder, jeera powder, turmeric powder and fennel powder. Sauté well. When the masala leaves oil, add chopped fenugreek leaves and sauté for few minutes. Add tomato puree, salt and mix well. Cook for 10- 15 minutes. Add curd and cook well for 5-6 minutes. Add water if required. When gravy starts leaving out oil, add water (250 ml), fried cottage cheese batons. Check for seasoning. This Achari Paneer recipe by Chef Vijay Sharma from Tribe Brunch & Bar, Delhi, will have you asking for more! In a heavy based pot, heat oil. To the hot oil add fennel, fenugreek and cumin seeds. Fry till it’s brown in colour or for 15-20 seconds. Add onions and fry till golden brown. Stir in the green chillies and mix. Now add turmeric powder, garlic paste and ginger paste. Fry for a minute. Pour in the plain yogurt, dry mango powder, chilli powder, sugar and salt. Fry this masala well until the oil separates. Add in the paneer with about 150 ml water. Let it cook on medium heat for about 5 minutes. Then season and serve. 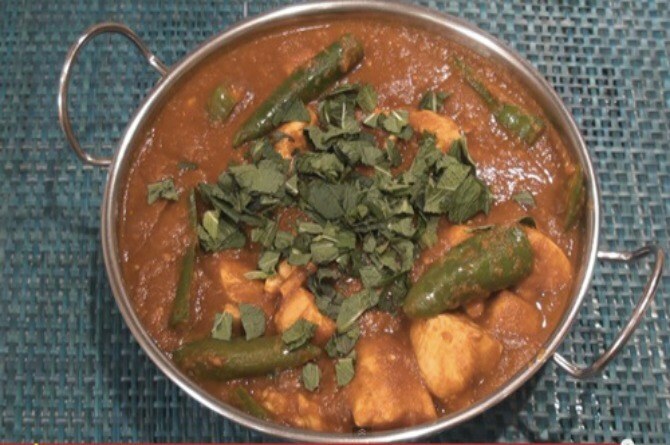 Try your restaurant favourite paneer recipe at home! Allow Chef Gurbir Singh from Hotel Babylon International, Raipur, to show you how! Marinate paneer in curd, turmeric powder, red chili powder and kasoori methi for 10-15 minutes. Heat a pan, drizzle 1/2 tbsp oil and shallow fry the paneer pieces for 3 minutes, tossing the contents well. Do not burn them. Turn off flame and remove to a plate. Heat oil in a heavy bottomed vessel. Once hot, add cumin seeds, carom seeds and allow to splutter. Add chopped onions and saute for 5 mts. Add minced ginger and green chili paste and saute for 2 minutes. Add turmeric powder, red chilli powder, coriander powder and kasoori methi and mix well. Add tomato puree and cook for 6-7 minutes or till oil separates. Add the roasted paneer pieces to the onion-tomato mixture and mix well. Add half a cup of water and cook for 5-7 minutes on low to medium flame. Add the garam masala powder and fresh cream and mix well. Add lemon juice, mix well and turn off flame. Pour it in a serving bowl and garnish with fresh coriander leaves. Serve with roti or naan. 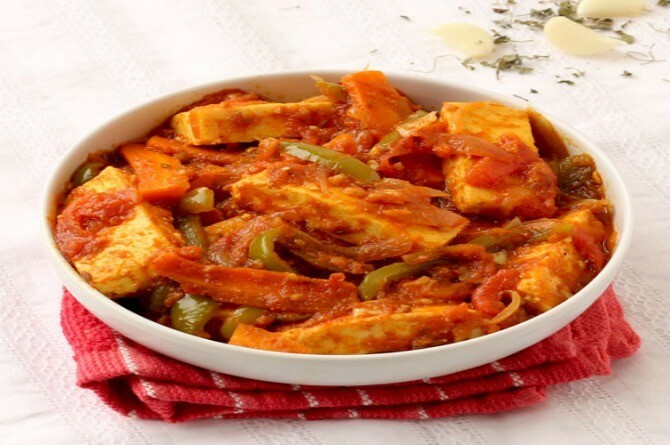 Continue reading for more paneer recipes for dinner! Another mouth-watering recipe by Chef Ashish Massey, chef, food consultant and owner, The Ancient Barbecue (Gurgaon & Noida) & Smoked House Biryani (Noida). Cut paneer in square and stuff with mint chutney, cashew nut, ginger, green chilly and season with salt. Prepare a batter with maida, turmeric, and salt. For the gravy, heat oil, add ginger-garlic paste, cashew nut paste, curd, turmeric powder, red chilly powder, and cook properly. Finish with fresh cream and pickle puree. 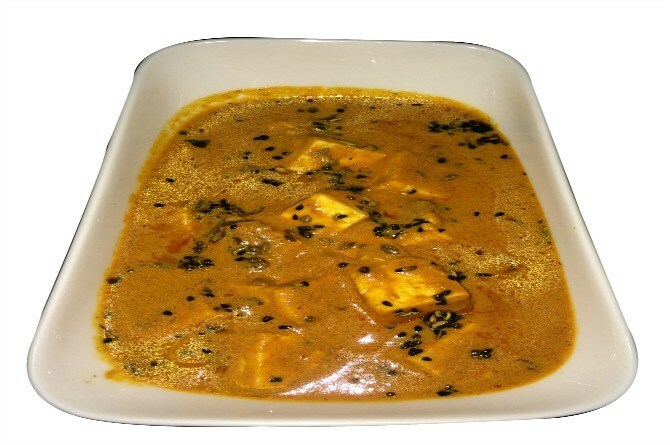 Cut paneer pieces in triangles and arrange in a plate and pour the gravy over it. Serve hot and garnish with fresh coriander spring. 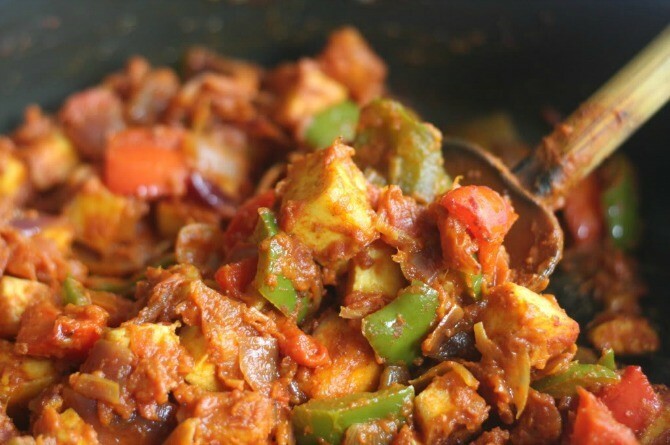 Continue reading for yet another delicious Paneer recipes for dinner:! Chef Gurbir Singh from Hotel Babylon International, Raipur brings for you yet another paneer delight! Heat oil in a cooking vessel. Once hot, add cumin seeds and allow them to splutter. Add the sliced onions and saute for 5 minutes. Add ginger garlic paste and saute for 3 minutes. Add red chilli powder, turmeric powder, Kasuri methi, coriander powder and salt. Mix well. Add tomato puree and cook for 3 minutes. Add sliced beans, carrots and cook for 5 minutes on low to medium flame. Mix once in a while. Add tomato ketchup and mix. Add capsicum pieces and cook on low to medium flame for 5 mintes. Stir in between. Add the paneer and tomato pieces and mix well. Sprinkle 3-4 tbsp of water and mix well. Cook for 4-5 minutes on medium high flame tossing the contents. Finally add garam masala and lemon juice. Mix well. Turn off flame and remove to a serving bowl. Serve with warm rotis or as filling for wraps. Filling and flavourful – that’s what this recipe by the late Chef Tarla Dalal is. Add the chilli powder, ground paste and tomatoes and simmer for 3 to 4 minutes. 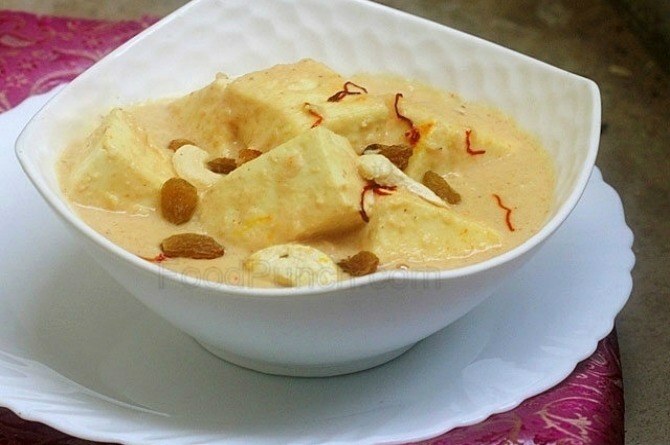 Read on for a delectable paneer shahi korma recipe! 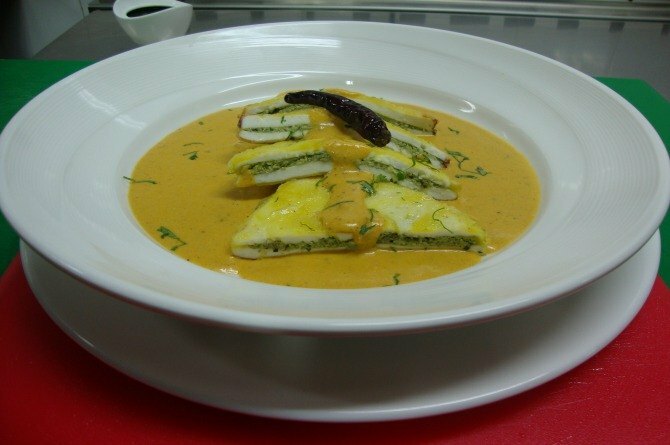 This white gravy paneer dish is to die for! Blanch the almonds in hot water. Soak 20 to 22 almonds in ½ cup of bubbling hot water for 30 to 40 minutes. Cover and keep aside. In a pan, take ¾ cup roughly chopped onions and add ¼ cup water. Heat the chopped onion and water together stirring at intervals. If in case the water dries up while cooking onions, then add some more water. Simmer till the onions soften. After 30 minutes, peel the almonds and keep aside. Add the blanched and peeled almonds and ¼ cup of the soaking water to a grinder or small blender. Make a smooth paste of the almonds. Remove and keep aside. To the same blender, add the cooked onions along with the remaining stock. Take 6 tbsp full fat fresh curd/yogurt in a bowl or measuring cup and whisk well till smooth. Heat 2 tbsp ghee in a pan. Add the whole spices – ½ tsp shah jeera, 1 inch cinnamon, 2 to 3 green cardamoms, 4 cloves, 2 to 3 single strands of mace and 1 small to medium bay leaf. Saute the spices for few seconds till aromatic. Now, add the ground onion paste and stir well. Add 2 tsp ginger-garlic paste. Stir again. Saute the onion paste till you see some fat on the sides and the paste thickens. We don’t need to brown this paste as we are preparing a white gravy. Now add the ground almond paste and stir continuously and saute for two minutes on a low flame. Add 1 or 2 slit green chilies, ¼ tsp black pepper or white pepper and ½ tsp coriander powder. Stir again. Add 1 to 1.5 tbsp of the beaten curd/yogurt on a low flame. Stir quickly again. adding yogurt in small amounts like this does not allow it to curdle in the gravy. Now add ¾ to 1 cup water. Stir very well so that the whole gravy has a uniform consistency. Add salt. Bring the gravy to a gentle simmer on low flame for 4-5 minutes. Add the paneer cubes. Simmer for a minute. Now add 3 tbsp low fat cream. Stir well and switch off the flame. Lastly add 1 tsp of rose water or kewra (pandanus) water. Stir gently. Trust us when we say it isn’t your regular kofta recipe. 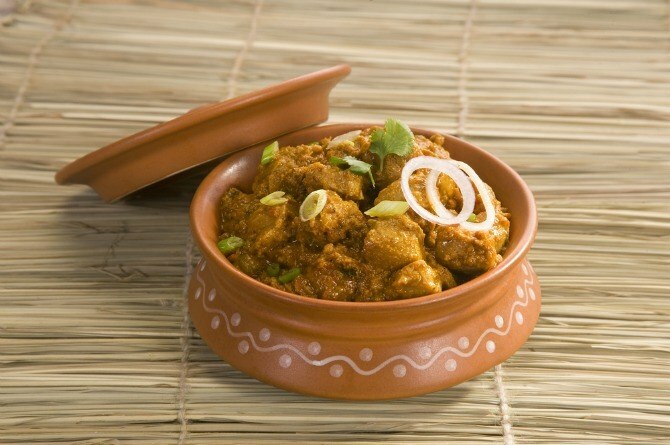 It is stuffed with delicious raisins and khoya! In a mixing bowl combine the grated paneer, potatoes, khoya, ginger-garlic paste, salt, turmeric powder, red chilli powder, fresh coriander, ground cumin and coriander seeds, mustard oil and raisins. Mix well together and knead into a dough. Make koftas (round bite sized balls) of the dough, dust with flour. Keep in the fridge for fifteen minutes to let the koftas firm up. Heat the refined oil in a pan. Cover and let it cook for 10 – 15 mins. Garnish the gravy with fresh coriander and a squeeze of lime, Serve hot! Do you have any unique paneer recipes for dinner? Please share in the Comment box below. Like us on Facebook and follow us on Google + to stay up-to-date on the latest from theIndusparent.com! Video: MS Dhoni sharing besan ka laddoo with daughter Ziva is the sweetest thing you'll see today!